Yes Mark and Amanda, please rush me my Amazing Self Online Membership so I can begin my mastery of my weight and fitness goals, skyrocket my love life and relationship success, discover how to achieve incredible financial success, and learn how to apply key mindset fundamentals to achieve ANY goal I set for myself! * Your receipt and instructions will be sent to this email. * Your personal information is kept confidential. 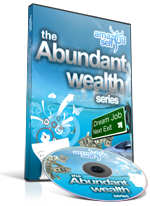 In this interview best-selling author and founder of Simpleology, Mark Joyner shares his secrets to success in "How to get Weath and Achieve all your life goals." Listen to this audio interview and followup with bonus interview transcript! Amazing Self is a monthly membership - each month you'll receive a new edition, which you access at http://amazingself.com/members. 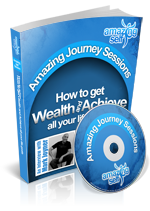 Each month you'll get the latest Amazing Self magazine in pdf format, Amazing Journey Sessions in mp3 format (so you can listen on your computer, Ipod or burn them to CD), and Abundant Wealth videos. Like our product, we pride ourselves on offering the highest level of customer support. So if you have any questions or concerns, or would just like to let us know how you're getting on with your Amazing Self, don't hesitate to contact us using the link below.